When an employee backs a company delivery truck into a parked Mercedes, or rolls a vehicle down an embankment in a muddy construction site, the costs in terms of damages, insurance rates, corporate image, and sometimes even life can be astronomical. Control your vehicle as effectively as possible. Understand basic driving techniques and the dynamics involved. Avoid simple accidents, through slow speed maneuvering practice. Practice in a safe environment. Build confidence operating vehicles under adverse conditions. Giving your employees the proper training in how to handle the vehicles, with which you entrust them particularly if these are specialized vehicles, can be an invaluable investment. Employees’ confidence and abilities as a driver dramatically improves if they are given time behind the wheel in a safe environment to sharpen their skills, away from the distractions of the public road. 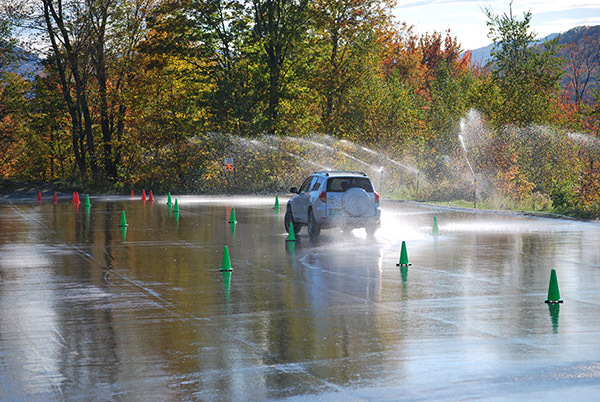 Utility corporations, construction companies and many other heavy and light truck intensive businesses have used The 4×4 Center Driving School to teach their employees critical skills in accident avoidance, safety and control, defensive driving, off road safety techniques, vehicle recovery, and field maintenance. 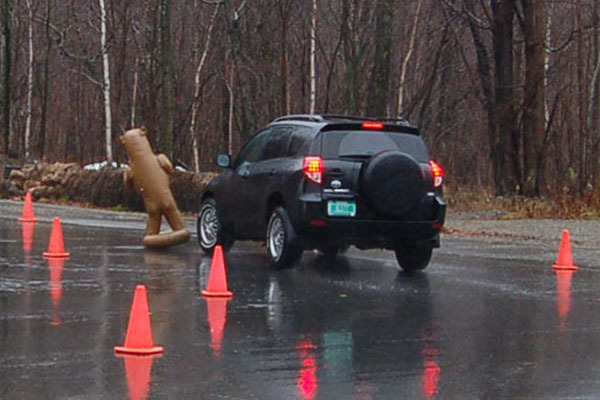 At the 4×4 Center Driving School, we cover all aspects of the vehicle and the environment. In the classroom our students will gain a basic understanding of the mechanics of how the vehicle works, some of the physics governing the relationship between the vehicle and the road (or lack thereof as the case may be) and general driving techniques and theory. In the field, we build our students’ confidence and understanding through a series of exercises designed to give them a hands on experience with what the vehicle is capable of — what it feels like when something is going wrong, as well as right – and how to react properly. 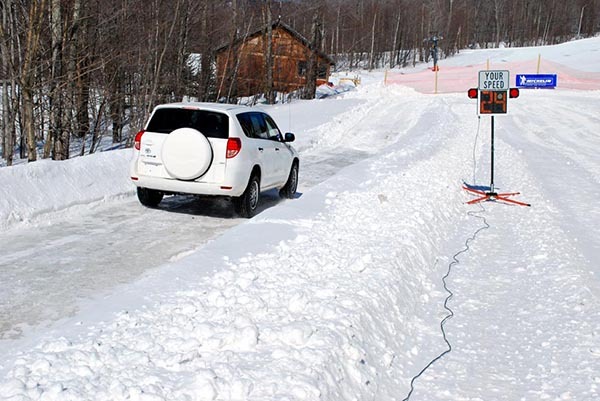 We feel it’s best for somebody to experience ABS braking, and other electronic aids on modern vehicles, for the first time on our skid pad, instead of when going downhill on an ice covered back road headed for an intersection. Our facilities allow us to train in a diverse number of environments, depending upon what your drivers are likely to encounter in their daily jobs. For example; we can ice down our skid pad to simulate an urban environment in winter weather conditions, we can venture out into the middle of a trail for a expeditionary style vehicle recovery exercise or, we can set up just about anything in between. The skills we teach are invaluable and the lessons can pay off in many ways by protecting lives and property, increasing the value of your workforce and lifting your employee morale. 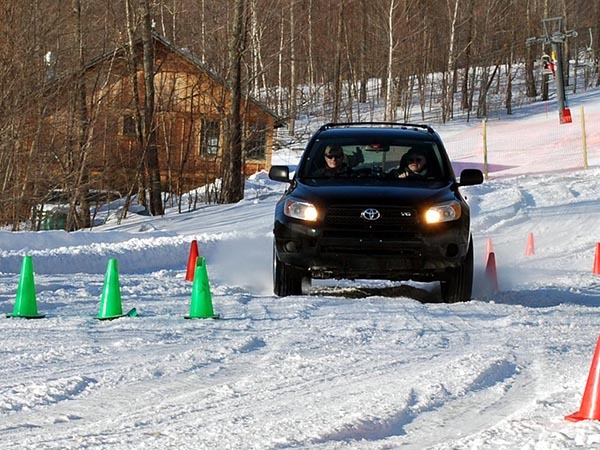 Apart from professional training, many businesses have used the 4×4 Center Driving School for fun and effective team building and company bonding outings. Learn more on our Recreational page.